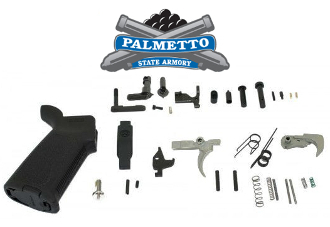 Palmetto State Armory AR15 Complete Defender MOE Lower Parts Kit for your lower receiver. A high quality lower parts kit needed to assemble your AR-15 lower. Parts are 100% made in USA! Palmetto State Armory Defender Classic Lower Parts Kit. Includes all Necessary Parts for Installation into your AR15 Lower Receiver.